The Ninja is back on the road and sailed through its MOT with new brake pads, chain and sprockets. 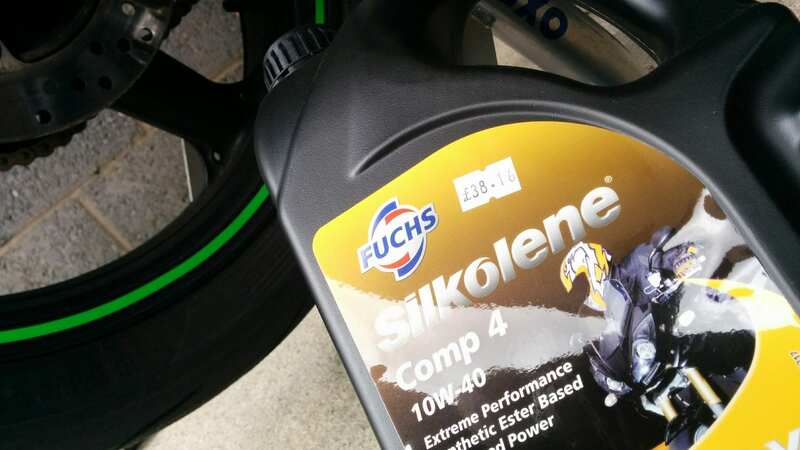 After taking it for a few rides I noticed the inside of the fairings were looking pretty oily and the level was getting near minimum. Obviously I had a leak somewhere and looked like it was possibly from the drain plug bolt. With not even a quarter turn I heard a ‘crack’ and realised I’d tightened it by mistake (oops). Winding it back the bolt head sheared off and the oil started running out with half the thread still in the bike. Balls. Left and right is difficult when working upside down. 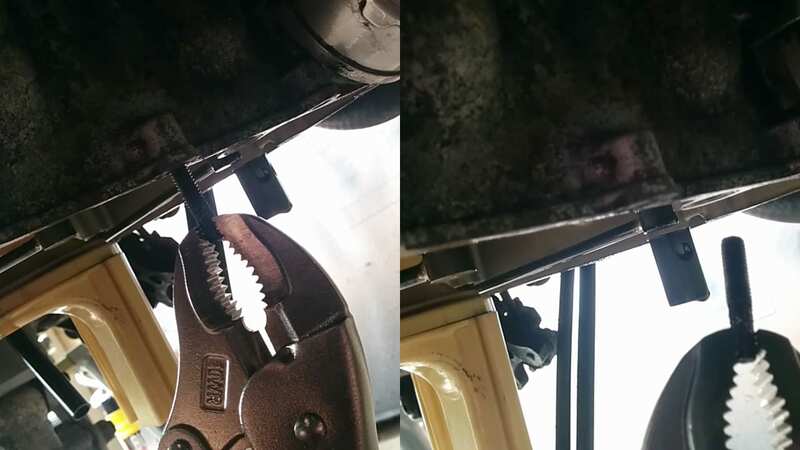 “Oh well, I’ll just drill it out with a left-handed bit” Except, no I won’t; With the bike on just a rear axle stand it wasn’t high enough to get a drill under it so the oil pan had to come off. For the oil pan to come off the side fairings had to come off, followed by the whole exhaust system. This ten minute job has now turned into two hours. 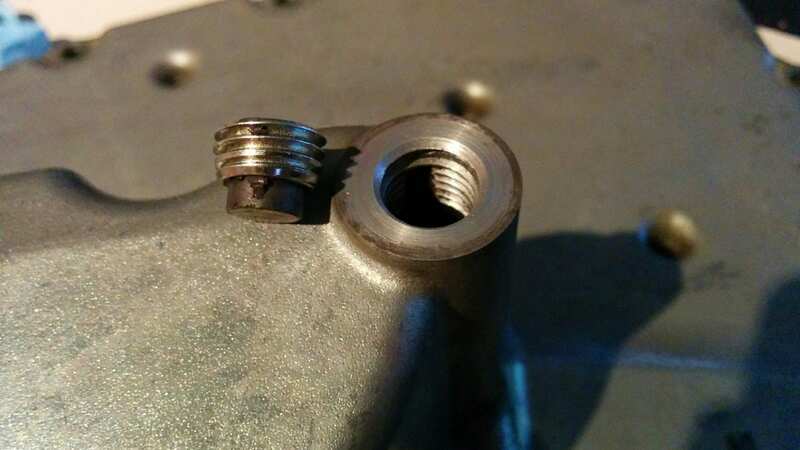 That thread on the right poking out of the engine casing, that’s the second sheared bolt of the day. This is going well! The oil pan itself isn’t threaded so just slid off over what was left of the bolt. At least I could remove the drain bolt now. This was pretty easy, the drain bolt was a magnetic one and the bolt sheared where it is hollow and has the magnet glued in. So I was only drilling into the magnet which was quite soft. The left-handed bit started to bite in and wound the thread out no trouble at all. 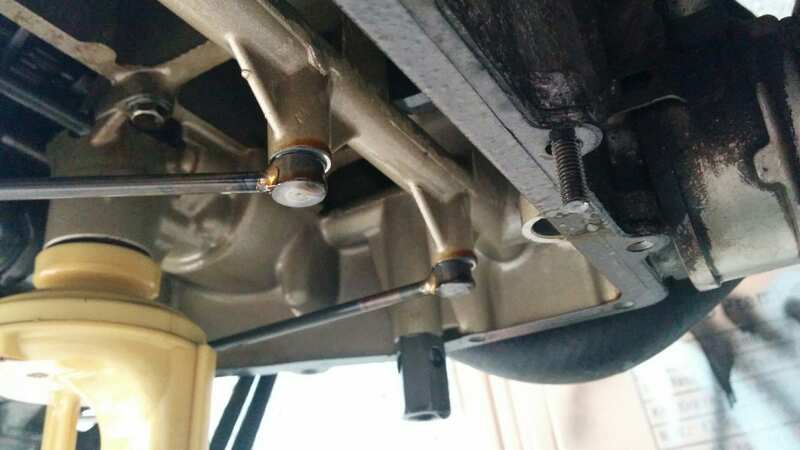 Now I had to deal with that sheared oil pan bolt. 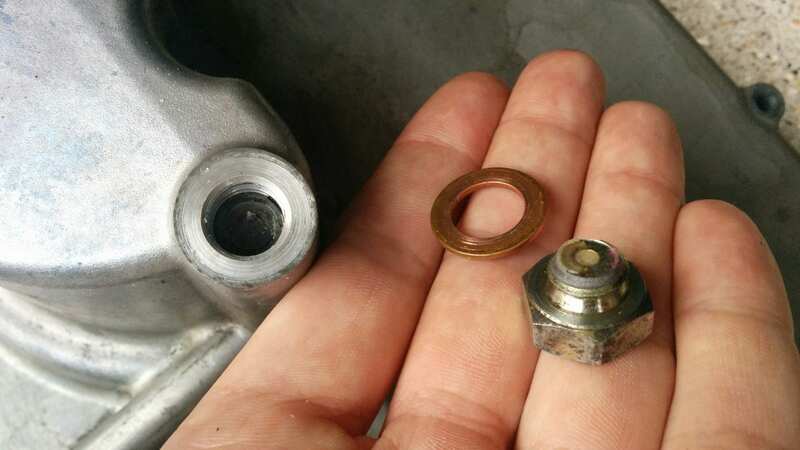 This time it sheared because it had seized (I’d learnt my left and right by now), and with so much thread exposed what I ‘should‘ have done was gone out and bought two nuts, locked them together so I could get a spanner on them and try to carefully free it up. Instead, using my unparalleled engineering expertise I picked up a big pair of pliers and a hammer. 20 seconds later the thread was utterly shagged (really wish I’d just gone and bought those nuts). Plan B: Blow torch and a pair of vice grips! Neither of which I owned but £30 and a trip to Screwfix sorted that out. I heated the bolt thread up until it was glowing red hot, this was only to help break the chemical bond of the corrosion. Obviously heating causes it to expand so I let it cool a little before clamping the vice grips on and trying my luck. No movement. Heating up the engine casing (just to a suitably ‘painful if you touched it’ temperature, not red hot) and trying the vice grips again while it was still hot got it moving, only a fraction of a mil’ back and forth, but it was moving. Time to put everything back together! 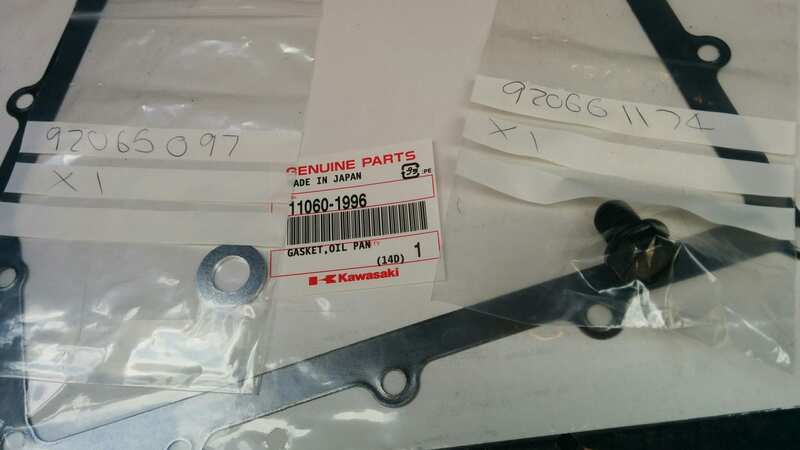 I got a couple of new oil pan bolts to hopefully avoid future seizing, a new oil pan gasket, drain bolt, washer and 4 litres of Fuchs ‘Extreme Performance’ 10W40 oil. All ordered from St Neots Motorcycles Thursday morning and were at the shop ready for me to collect next day. I’m sure the reason I had an oil leak in the first place was probably down to things not being torqued to spec. so all the oil pan bolts were nipped up to 10nm, and the drain bolt 29nm (Haynes manual doesn’t lie). Bike rides great again and no sign of any oil leaks. Lovely.